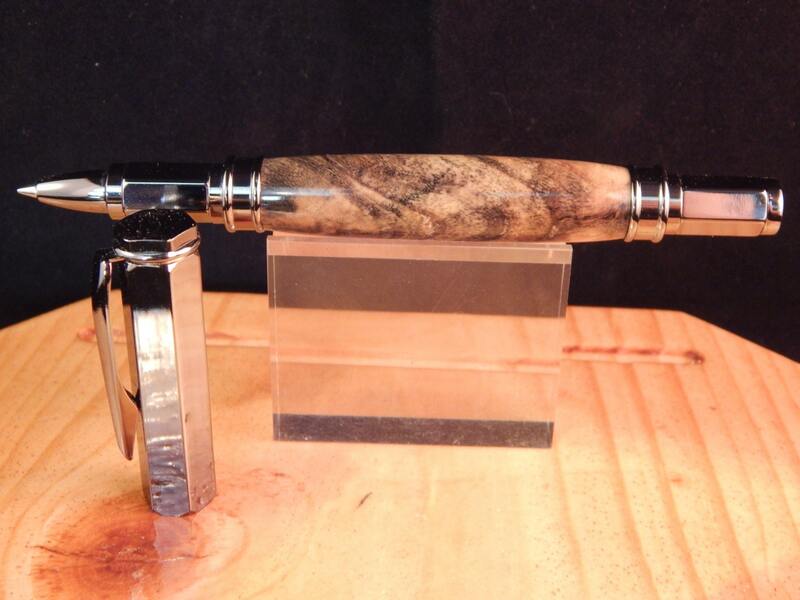 The vertex rollerball pen was crafted from buckeye burl and matched with gun metal fittings. 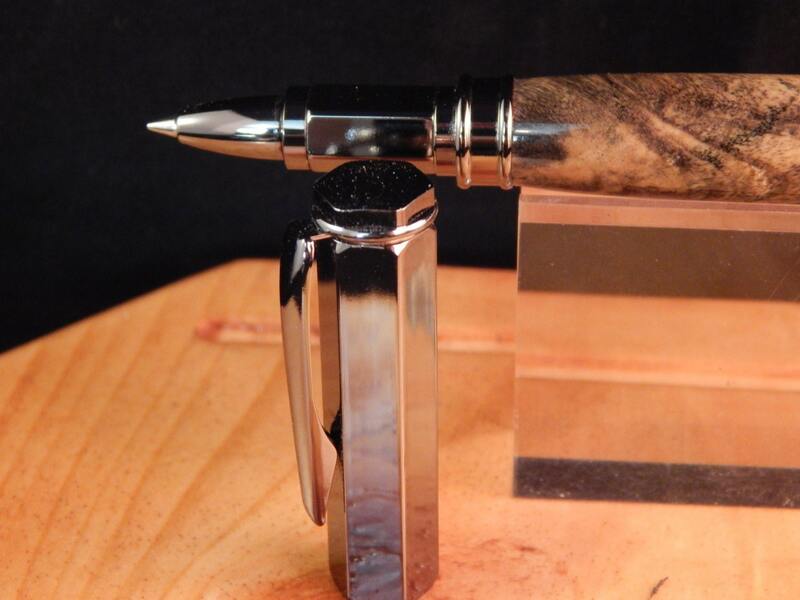 The pen features a magnetic cap which can be posted on the back of the pen while in use. 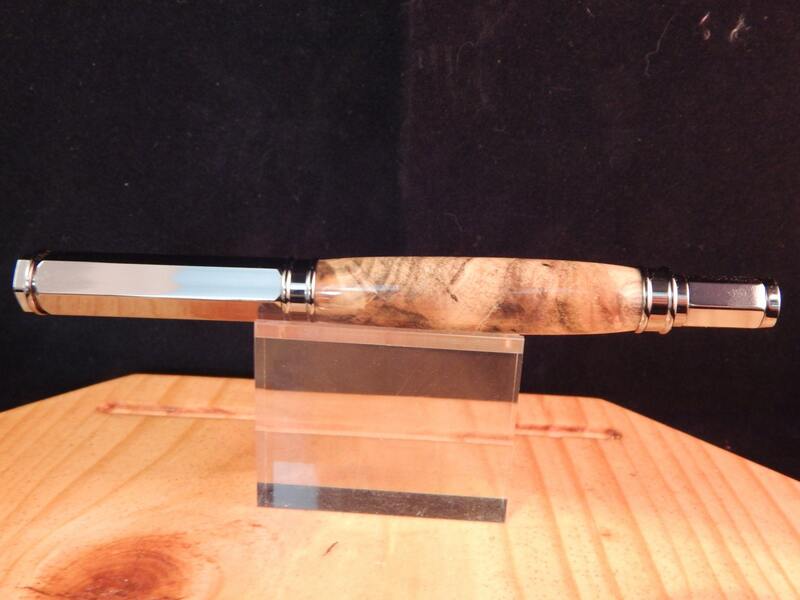 The buckeye burl features three beautiful knots/holes which add to the character of the wood. The gun metal fittings compliments the grey in the buckeye wood. This rollerball takes Schmidt 888 or Schmidt 5888 ink refills. Buckeye trees can be found throughout the eastern United States. Buckeye wood ranges from cream colored to a yellowish color. Burl wood is caused by abnormal growth in a tree which causes knotting or unusual grain patterns. 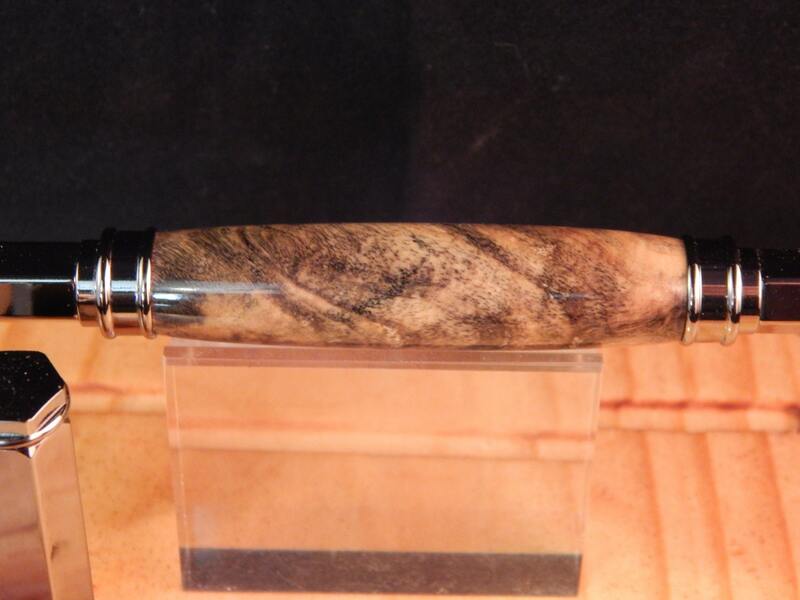 Buckeye burl wood can have reddish brown knots and / or light to dark gray discoloring. Stabilizing the wood is done by injecting or soaking the wood in a type of resin which strengthens the wood and prevents moisture level fluctuation and warping of the wood. Buckeye wood is not widely used because of its lack of density and strength. Some of the more common uses for buckeye are furniture, crates, and pulpwood. 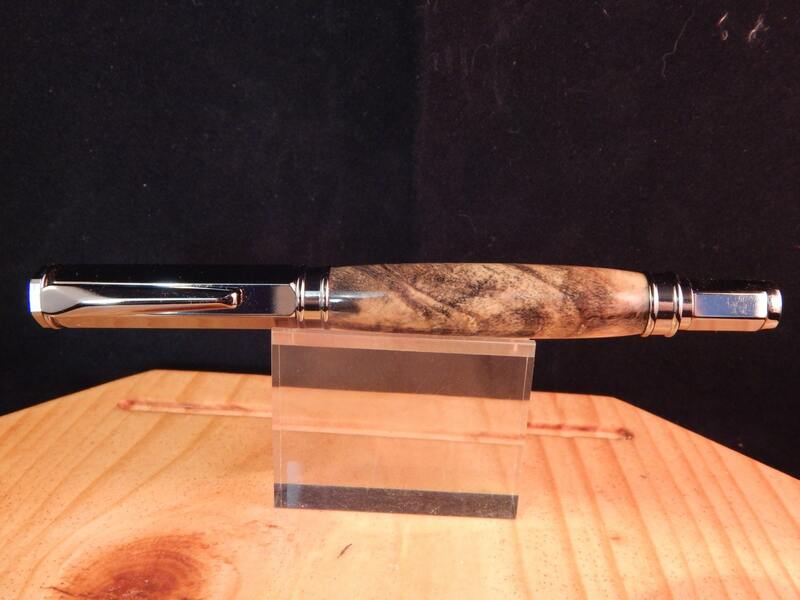 Buckeye burl is more prized and is commonly used in the production of guitars, pens, and other turned products.